This will eventually go under the dear harper tab. This past week, you turned 5 months old! You consistently make us say “WOW she is advanced!!!”. I know…every parent says this…but you REALLY are advanced!!! You’ve been tripodding a whole month sooner than most babies! AND you want to stand so bad! 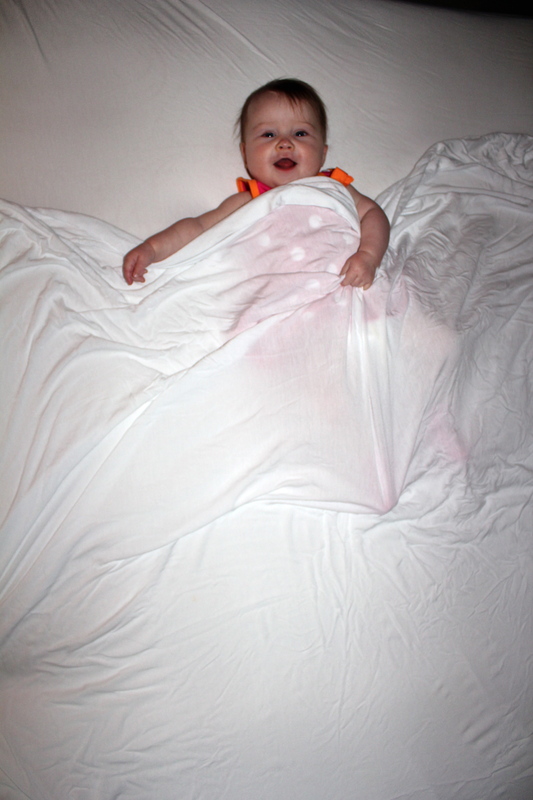 Most babies don’t want to do that until they are 6 months! See? 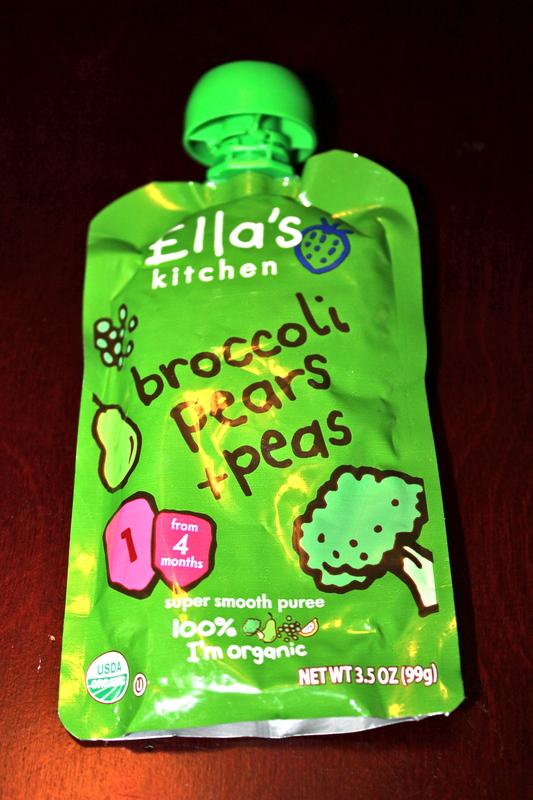 A D V A N C E D.
Last month the pediatrician told me that I needed to start teaching you how to eat baby food. She said it wasn’t about nutrition at this point, just getting you to learn how to do it. I sort of slacked off on this because you’ve been getting a lot of breast milk recently and well…we’ve got a good thing goin’! 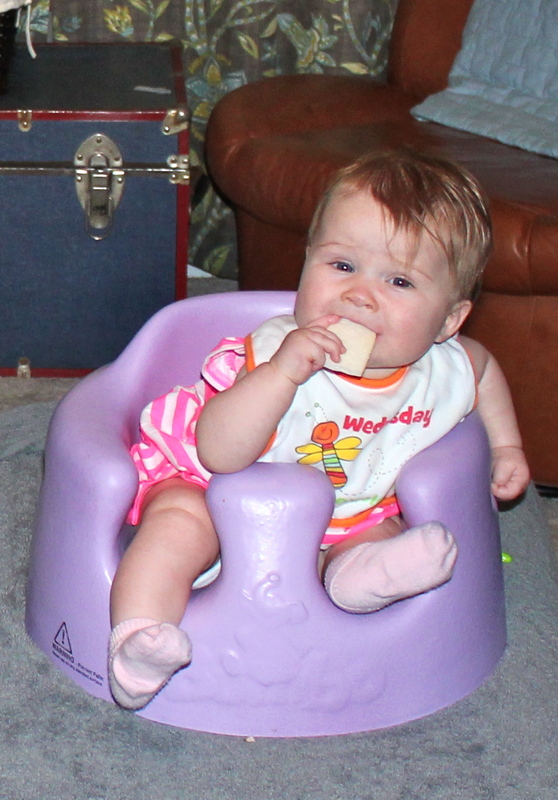 But this week I have only let you eat big girl food 3 times…and you’re a pro. At first, I was skeptical. Every time I’d shove it in…you’d SHOVE IT BACK OUT! I figured you were just too new at it to know how it works. But I think you just didn’t care too much for the food. 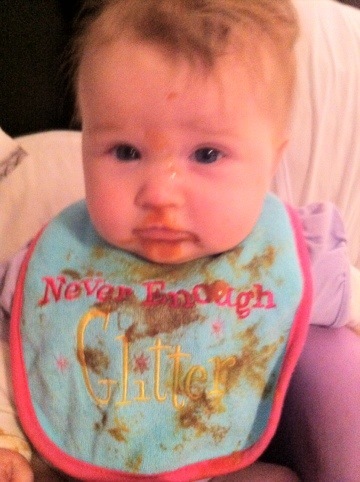 I bought you some delicious “turkey dinner” and “broccoli mix” baby food today and you barely spit ANY out!!! You just have sophisticated tastes! 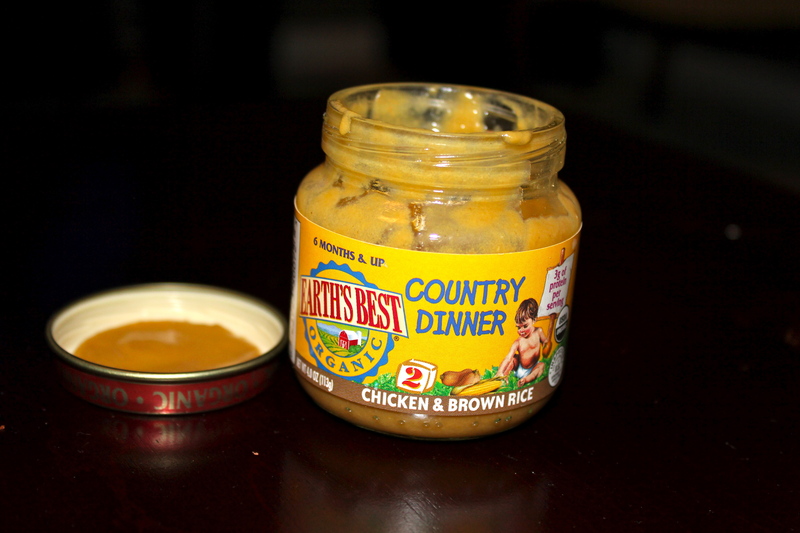 You ate 1/4 of one of the jars! You like your Uncle Colten a lot…but he only comes around during the “witching hour” 🙂 So he thinks you don’t like him. Or that you only want to poop on him and yell at him. But we know that’s not true! You were happy when he let you walk around on the table last week! He actually looks like he’s having all the fun! 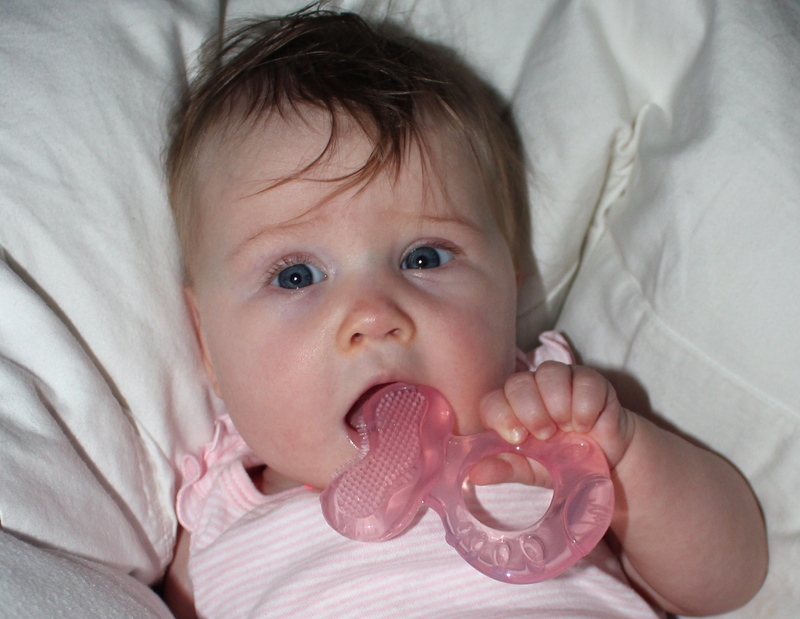 You’ve also started to like the teething toys you have! 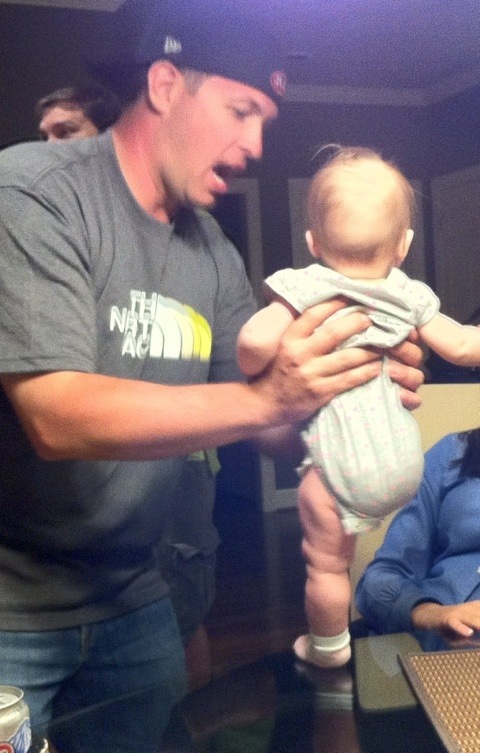 We don’t think you are teething yet, but you do like these doo-dads! 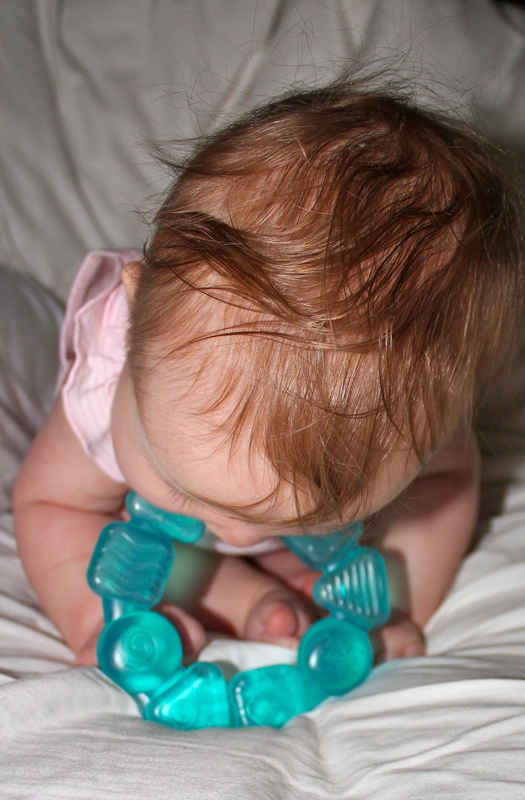 Check out the downward dog on that teether!!! 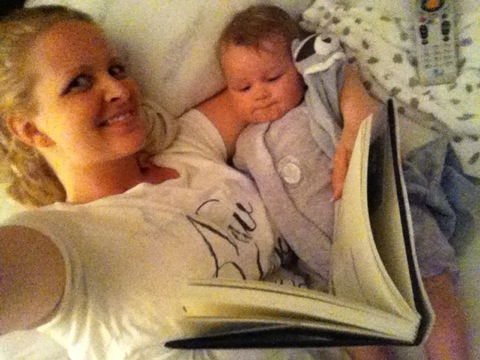 One of your favorite things is of course reading with The Mommy or The Daddy. 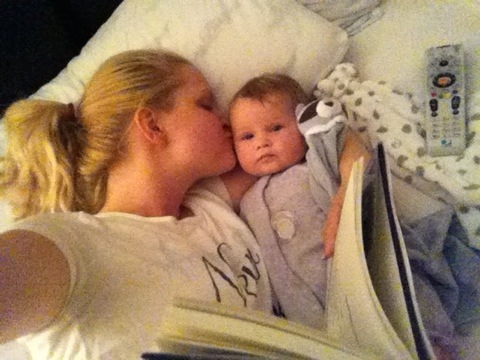 You really like to watch the pages as we read to you! You reach for your bottle because you know you’re about to be fed! 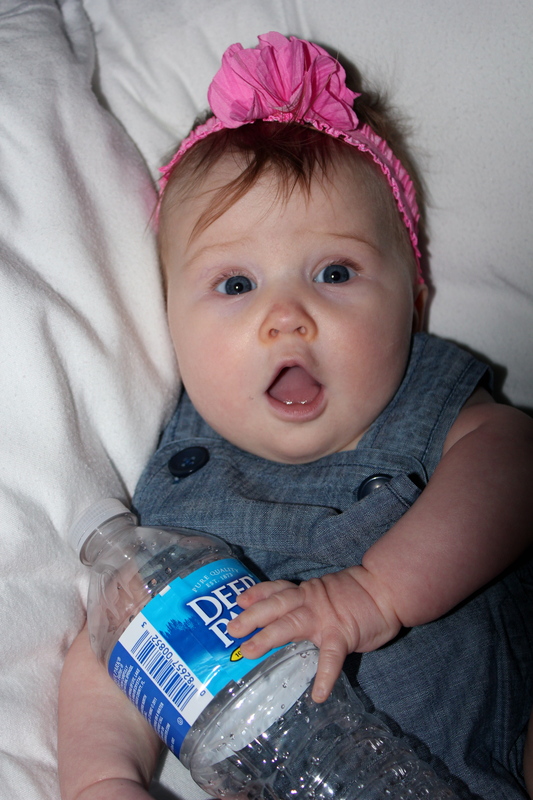 You LOVE deer park waters. LOVE THEM. Even more than the toys that The Mommy picks out for you. You have reached out when being picked up a FEW times. I can’t figure out if it’s a fluke or if you mean to do it! You can consistently roll over both ways. You are always looking for Me or The Daddy when only one of us is holding you. You just like to have us both at the same time! Every single day I look at you and can’t imagine how I ever lived without you. How I could ever think of things without thinking about you first. Now you’re all I can ever think about sometimes! Sometimes I’ll forget what I’m doing when I start to think about you! You are so lucky…EVERYONE loves you! Even strangers love to talk to you and make you smile! You make The Daddy and I so happy! There is nothing in the world you could ever do to make our love go away. We will always LOVE you! There is nothing better in this world than watching your child grow and discover the world around them. 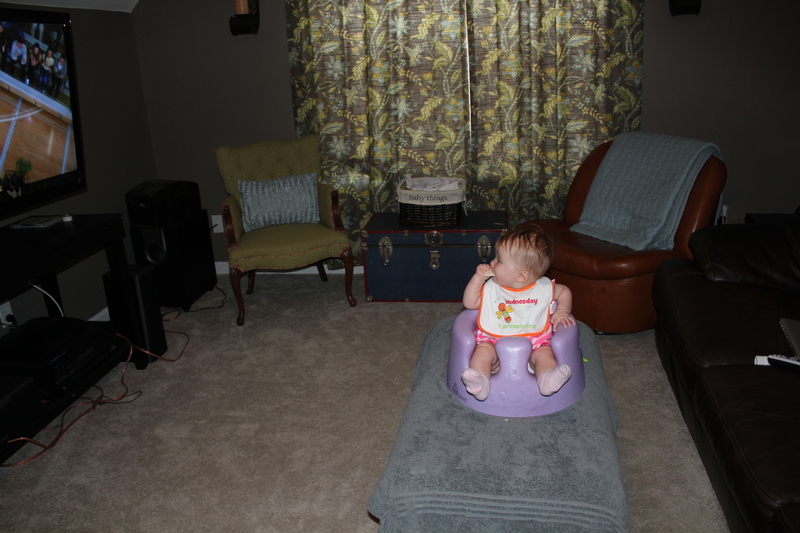 My son is about 7 months old and going through the same experiences as your daughter and it’s wonderful to witness. And it’s even more awesome to know that it will just keep getting better!